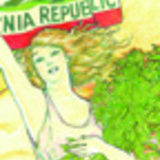 You may receive updates from California NORML, the sponsor of this form. You may receive updates from Ellen Komp, the creator of this form. Want to stay up to date on news and events affecting marijuana in California? Sign up here!